American Herring Gull (smithsonianus) 1cy X47 August 06 2012, Hampton Beach, NH. Picture: Jon Worthen. X47 was banded as a chick in July 2012. Summer 2012 was quite a productive one. The final tally of banded chicks was: 456 (190 Great Black-backed Gulls and 266 Herring Gulls). This is the largest number of chicks that have ever been banded here! 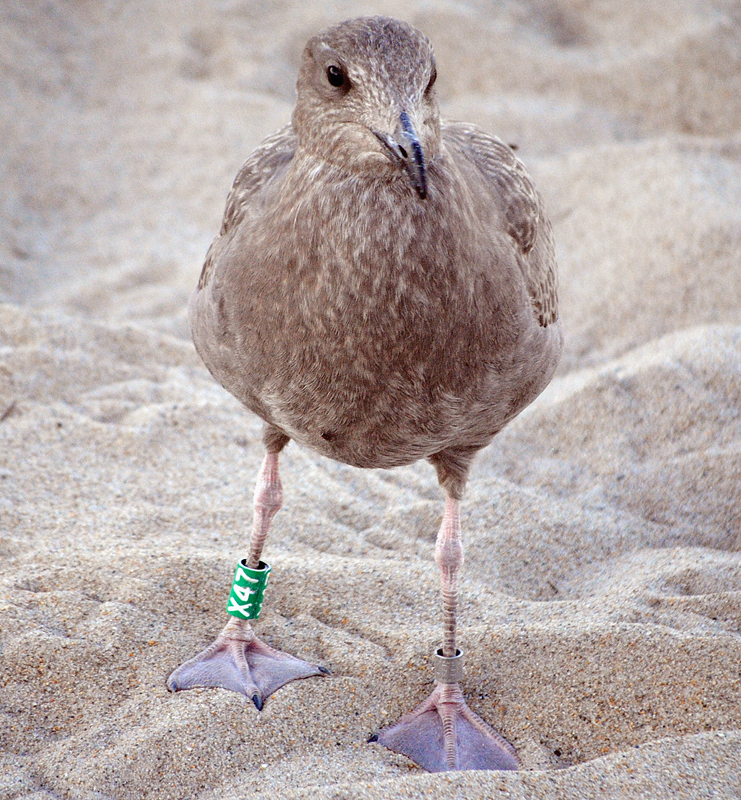 The first report of a bird banded in 2012 came in from Jon Worthen, who has provided numerous resights for us during his frequent visits to Hampton Beach, NH. 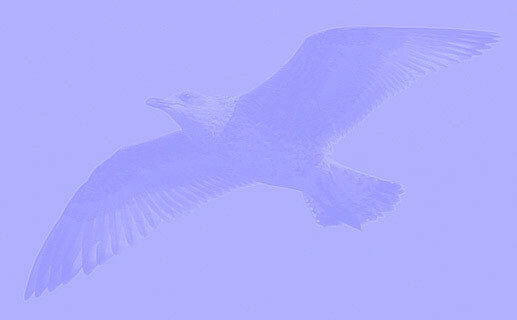 On August 6, 2012 Jon saw two Herring Gulls banded this year.